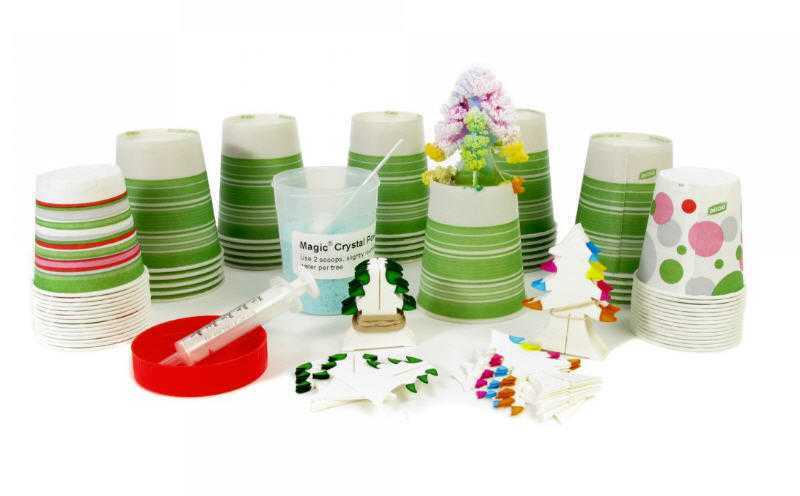 Grow crystals and observe crystal structures in a single class period! In 15 minutes, students and teachers will be amazed as they watch crystal buds appear and develop into leaves and branches. The crystal leaves are yellow, green, red, blue, and white. Crystals grow in air for easy inspection; Observe crystal structures and features up-close with a magnifier or microscope. Tree on growing stand measures approximately 5" from table to top of tree. Includes 17 student questions for study and discussion. Answers are included in the activity guide, and they highlight key events to observe as the tree grows. The kit includes materials for 30 students.